Mayfield or Watson: Which QB would you rather have? 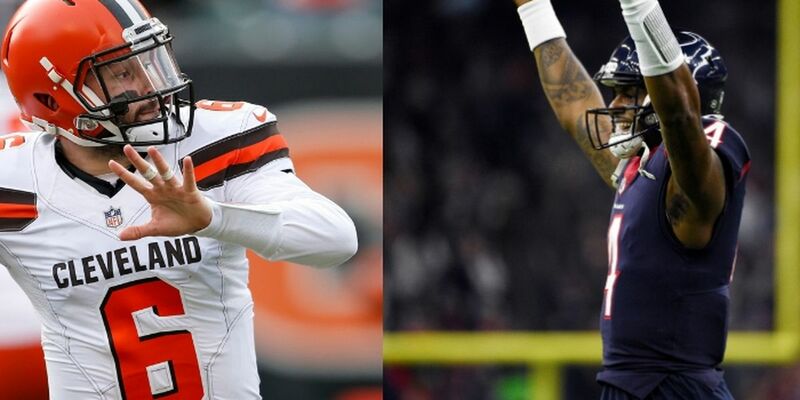 CLEVELAND, OH (WOIO) - The Cleveland Browns head to Houston to take on Deshaun Watson and the Texans. The Browns passed on Watson during the 2017 draft and opted for pass-rusher Myles Garrett instead. In the 2018 draft, the team chose Baker Mayfield as the No. 1 overall pick. Watson said in a conference call earlier in the week none of that matters. “I am just focused on my career and what I can do down here in Houston. I am in a blessed position. I am happy. I am comfortable with everything that is going down in this organization and this city. I am in a happy spot," said Watson. The Houston Texans QB said he and Mayfield are friends and may even jersey swap. “I am a big Baker fan and everything that he has been doing for a long time. It is going to be very exciting to see him pregame and compete against him. I will talk to him later this week and probably jersey swap with him," said Watson. On the other side of the ball, Mayfield also speaks highly of his opponent. “Deshaun is an incredible quarterback, an incredible athlete and a great leader. I played against him in the playoffs in 2015. Just from someone who has seen it in person, you could see all of this coming. The success he has had has been fun to watch. He is a good guy so he is playing at a very high level – a huge reason why they have won eight games in a row. It is always great to play great competition and you always look forward to that," according to Mayfield. The Cleveland Browns are looking for the team’s 3rd straight victory and they will have the NFL Offensive Rookie of the Month under center. Mayfield led the Browns to a 2-1 record, the team’s highest winning percentage in a month since October 2014. He completed 65 of 88 passes for 771 yards with nine touchdowns, one interception and a 129.5 rating.